Aluminum 3D printing for automotive applications will probably grow in the upcoming years at the expense of casting but not of extrusion. I spent some minutes to read carefully the article appeared in the January/February issue of ‘Aluminium International Today’ magazine. I am not an analyst expert in forecasting and it is really hard to generalise on the automotive market. 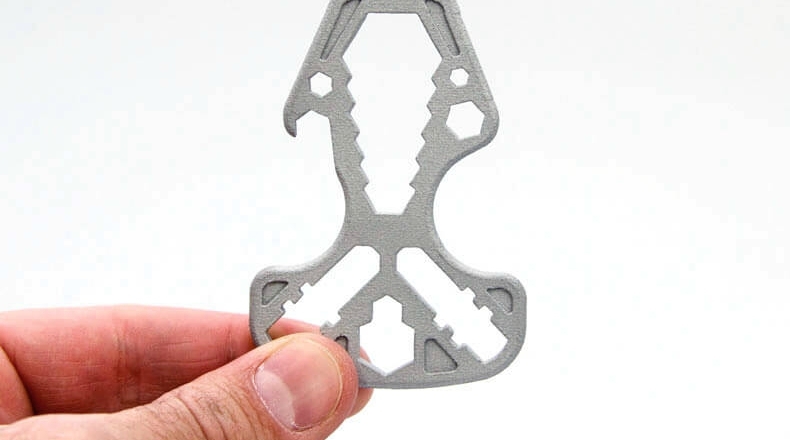 However, my feeling is that the unstoppable growth of the additive manufacturing market will only partially influence the aluminum extrusion sector. The reasons for my optimism are due to the fact that if there is an extruded section you could just put on a machine tool and easily machine then there is no reason to go and look for additive manufacturing. 3D printing will be the only choice for complex shapes that would not be possible with traditional techniques. Despite the great opportunities coming with additive technology, I believe designer and engineers will go for easy and cost effective… therefore I see a bright future for aluminum extrusion. What’s your feeling? Tell us in the comments below! Click on the image below to donwload the article on Aluminium International Today. 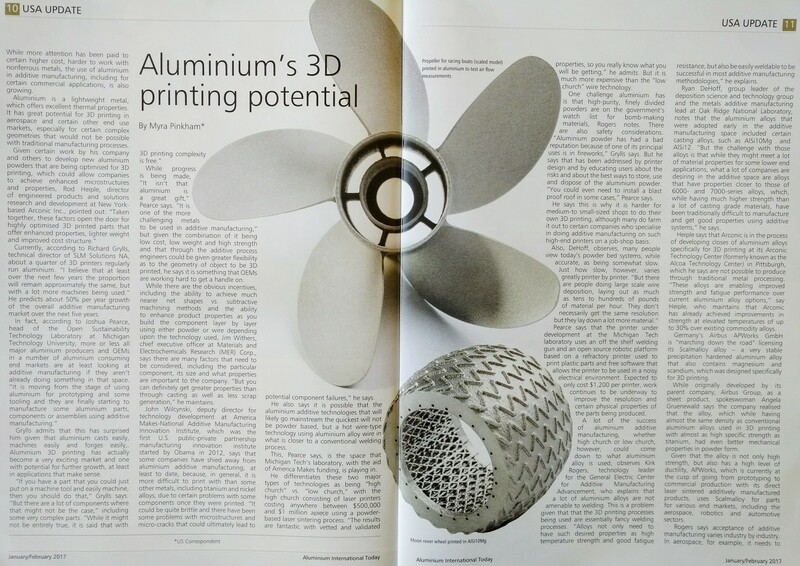 Aluminum 3D printing potential – from “Aluminium International Today.